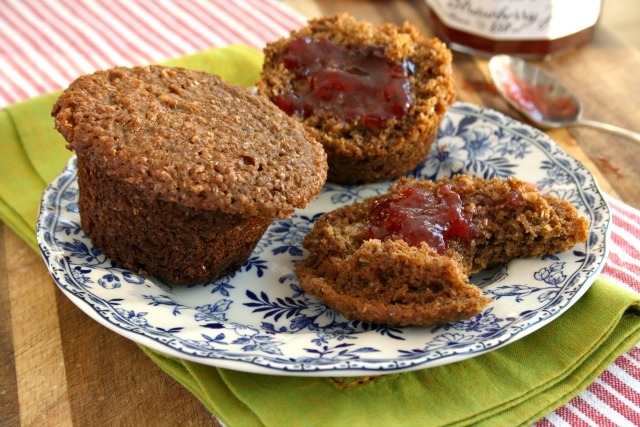 An old fashioned bran muffin with a light texture and sweet molasses flavour. It wasn’t until I got to university that I understood the jokes about bran muffins being like doorstops. 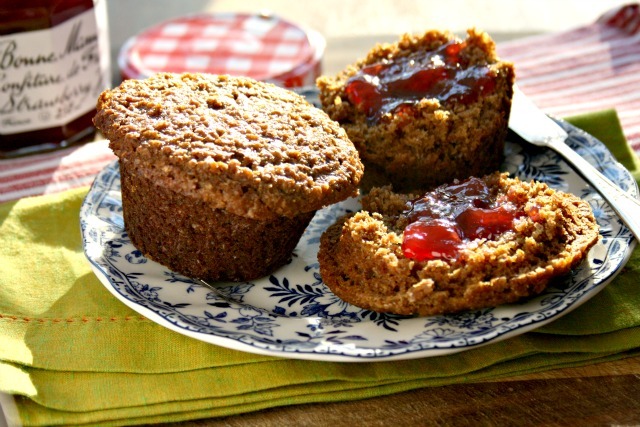 I grew up eating homemade buttermilk bran muffins made with natural bran. They were light textured and sweet. Mom mixed up the batter in huge batches that she stored in the fridge in an old four-litre ice cream bucket. I loved the batter and would sneak it by the spoonful. At university I’d sometimes grab an extra bran muffin from the dining hall as a mid-morning snack. They were heavy and dense and would have been inedible if it wasn’t for the peanut butter that I slathered on them. A lot of bran muffin recipes are made with bran cereal which makes them too dense for my liking. This recipe calls for natural wheat bran and that’s the key to their light texture. The concept of refrigerator bran muffins is brilliant. You can store the batter in the fridge for a few weeks and bake them as needed. It’s the fastest way I know of to have freshly baked muffins in 20 minutes or less. My mom was given this recipe decades ago, when she had a houseful of seven kids who would go through a dozen or more muffins after school. This recipe makes 4 dozen muffins, but can be halved. In another bowl, whisk the flour, baking soda, baking powder and salt. Set aside.